Weekly comic books are a big part of my life and this is a fairly big week. Below is a list of what I’ll be picking up this Wednesday along with cover artwork and previews courtesy of Comixology’s pull list app. Another week with eight new books for me and most of them are X-Men titles in some way shape or form. I’m considering picking up Earth 2 #1 and Dial H #1 that are shipping as part of Wave Two of DC Comics’ New 52 (on 5/2 no less). I’ll also be checking out Image Comics’ Epic Kill #1 and Mind the Gap #1 and reviews will be posted Wednesday morning. 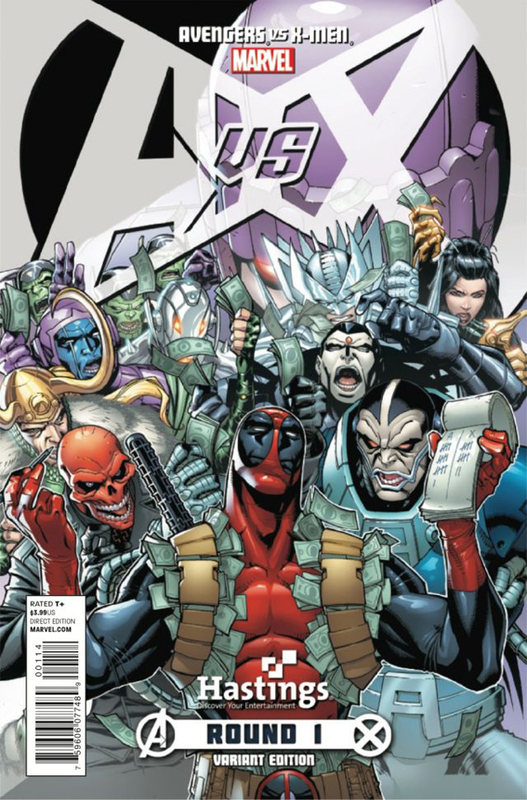 AGE OF APOCALYPSE #3 – There was a time when an Age of Apocalypse ongoing title would have automatically gone to the top of my list of favorite books. Even though this doesn’t bear much resemblance to the original AoA, the twist of having some of the greatest mutant haters of all time fighting for a world that fears and hates them is wild. 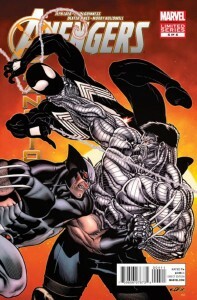 AMAZING SPIDER-MAN #685 – Doctor Octopus has gotten some major villain upgrades in recent years and he’s set to make his move as The Ends of the Earth continues. Unfortunately, I’m way behind on my reading for this series. AVENGERS ACADEMY #29 – I don’t normally read this title, but it’s an AvX tie-in this month. The cover reveals that some of the younger X-Men are being held captive at Camp Hammond and I’m glad this story is only happening in one title now that Generation Hope has been cancelled. 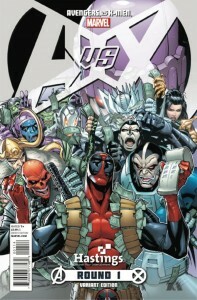 AVENGERS VS. X-MEN #3 – Marvel’s event of the year continues. I’m still not completely sold on what’s happening here as Captain America seems to be making a lot of unexpected decisions and John Romita Jr.’s artwork is hit or miss for me. EXILED #1 – Who says AvX is Marvel’s event of the year? Amidst all the hero punching comes a crossover between the New Mutants and the Asgardians of Journey Into Mystery. Dan Abnett, Andy Lanning and Kieron Gillen are the minds behind this series and that’s a combination I’d read just about anything from. 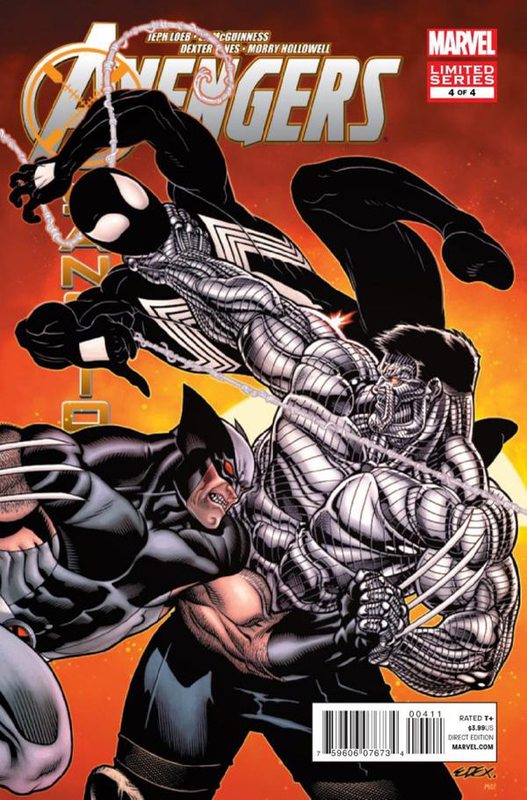 WOLVERINE AND THE X-MEN: ALPHA AND OMEGA #5 – After reading the first issue, I normally save reading mini-series until they wrap up. Brian Wood’s series featuring Wolverine, Armor and Kid Omega is one I’m really looking forward to. X-FACTOR #235 – Peter David’s superhuman detective agency is something I look forward to every month. Adding artist Leonard Kirk, Havok and Polaris into the mix makes it even better. X-MEN #28 – This book was meant to be a showcase for the X-Men interacting with the rest of the Marvel Universe, but lately it seems like it couldn’t be more out of touch.